A commercial recycling company in the southwest USA had a problem. 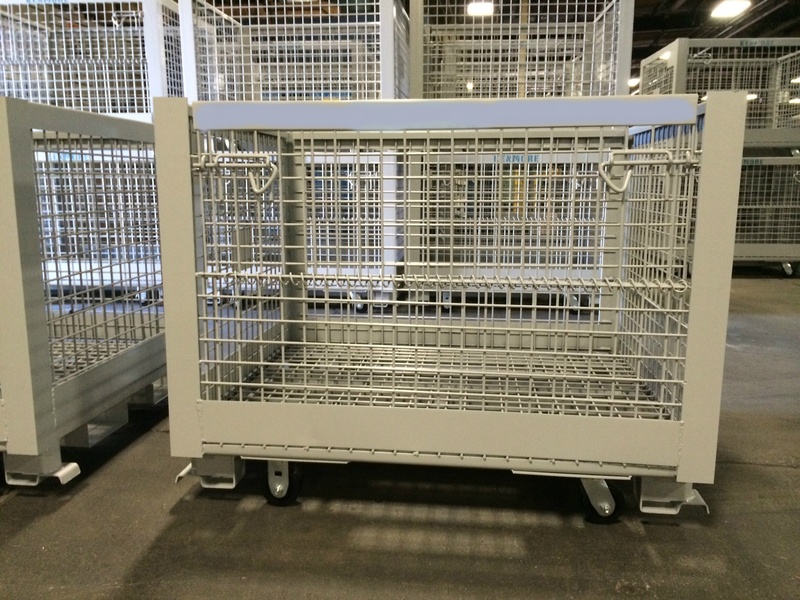 They were competing for a new contract and needed to duplicate exactly their wire cage style containers – dimensions, steel gauge, weight capacity, fork tubes, casters, and an unusual sliding drop door. And they had to stack interchangeably with their current containers – a tough design requirement. Close wasn’t going to cut it, so a custom solution was the only way to get it done. After working with manufacturing sources in China and the USA to develop specifications and pricing, Container Essentials settled on an exceptional wire container manufacturer right here in the southeast USA. The resulting containers were perfect for what they needed, and when they ink the deal with their supplier, they’ll have exactly what they need to satisfy their customer. Getting something like this done takes a collaborative effort between the recycler, the manufacturer, and Container Essentials. There’s some back and forth required. Over the course of about six weeks, we invested several hours sourcing the manufacturer, developing the specifications, and negotiating costs. Our customer guided us by explaining what they needed, and how the container had to fit into their collection and transportation system, and the manufacturer was enthusiastic and flexible about helping us solve our customer’s problem. It’s a perfect example of a customer outlining what they need to accomplish, providing guidance when necessary, and letting us take the ball and run with it so they can manage their business. Need help solving a tough container problem? Click here and let us know how we can help.